Since we have our own factory, we can deliver you high quality products in the shortest amount of time. Almost all of our products have a lead time (the time from order to delivery) of only 5 days for orders between 10 and 3000 units. Say you order 500 Classic USB Flash Drives printed with your logo in 4 colors and pre-loaded with your data - you can have them in just 5 working days from today! If you want 5000 logo printed USB Flash Drives, chances are you can have them in the same time frame. 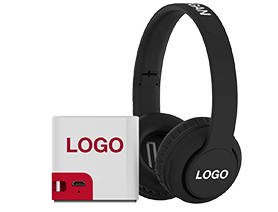 In fact our research shows that on average we are by far the quickest supplier of logo printed USB products in the world. 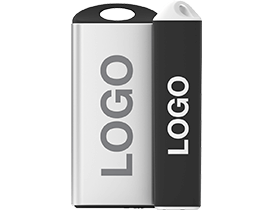 How Do You Add My Logo to the USB Flash Drives? The product type and material usually dictates the printing/branding methods used. We have in-house departments that specialize in each of the printing methods below to ensure the highest quality standards are maintained. Screen Printing - Screen printing is most suitable for logos with 1-4 colors that have no shading or color gradation. Before printing, inks are custom mixed to the match the Pantone® color references denoted on the Virtual Proof (A virtual proof is an electronic document that shows how your logo/details would look when branded on a given product). Screen printing works best on plastic usb drives. Photo Printing - Photo printing is the best choice for logos with many colors or those with shading or gradation. Strict quality guidelines are followed to ensure your logo have a durable finish and highly resistant to scratches and bumps. Laser Engraving - Laser Engraving gives a very precise and clean finish and is ideal for logos with sharp and well defined borders. Contact us by email or phone and we will email you a full price list, post samples, and provide an image mock-up showing how your logo looks on the product (we call this a 'Virtual Proof'). An account manager will be assigned to you to guide you through this process. There is no obligation to order at any point. Note: Sending us your logo in a high resolution or vector file format will speed up the process. Review the virtual proof we email you. You may request as many changes as you wish or ask for any additional information you require. 1.Order Online - Retrieve your password, then login to our customer center and use the 'Order tool' - it's quick and easy. You can also order via your Account Manager - email him/her with an order confirmation or purchase order. State the quantity, memory capacity, accessories, delivery and billing address along with any other relevant information. Please remember to attach the Virtual proof you wish to confirm. Do you have an MOQ (Minimum Order Quantity)? While others require an MOQ of 250-200 units, our MOQ is only 10 units. In fact, we encourage small trial orders! Storage capacity is strictly dependent on the memory size of the product. Our USB products have memory sizes from 2GB all the way to 64GB. To estimate the size needed, consider that the average photo size is 2MB, average MP3 music file is 4MB , and the average movie size is 500MB. All our products are backed by a 10 years warranty. What Accreditations and Certifications Do Your Company Have? Our company is ISO 9001:2015, ISO 14000, and FFC certified. Yes, all of our products have RoHS certificates. Which brands of memory do you use in your products? To ensure you get the highest quality products, we only use Grade-A quality memory from the likes of Samsung, Hynix, Intel and Micron. They're the same components used by companies like Apple and Sony. Currently, we deliver to all EU countries, USA, Canada, Australia, New Zealand, Hong Kong, Singapore and South Africa. Why should I order customized USB products from you and not from other vendors? 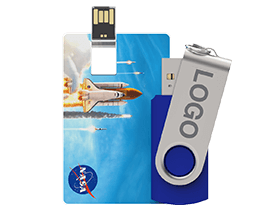 For almost 10 years, we have established ourselves as a trusted supplier of customized USB flash drives to businesses, schools, and government institutions all over the world. Thanks to our own ISO-9000 certified factory, we can consistently deliver high quality products with the shortest lead times in the industry. Furthermore, we are passionate about customer service and will do what it takes to help you succeed. 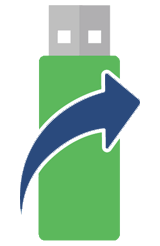 How do others Use Promotional Flash Drive? 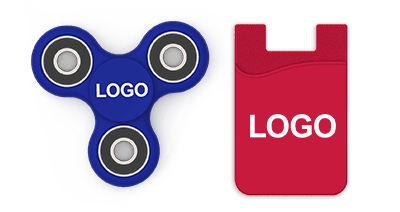 Businesses give them away to prospects at tradeshows, seminars, and events to promote their brands. Corporations give them to their employees and clients as gifts. Aspiring musicians and famous rock stars use them to distribute their album releases. Schools give or sell them to students to be used for storing course syllabuses and assignments. Professional photographers load the drives with clients' photos and give them to their clients as gifts. Brides and Grooms use them as wedding favors to delight their friends and family members.